Avoiding the Coach Tour… Healthy Walks in Iceland! The first thing most people say to me about Iceland is that it’s a place that is on their list of destinations to get to. This was one of the reasons that I decided to go ahead and set up Iceland Traveller, and it’s also my cue to offer to facilitate the process of ‘getting round to booking up’. And while I’d love everyone I talk to sign up there and then, Iceland is a place to go to when you are ready and it will always be there. The conversation often then develops along the lines of the misconception that Iceland is only for rugged outdoor types who love massive landscapes, Arctic temperatures, swimming and hákarl, which is fermented shark meat. It of course a wonderland for people like that but it’s also a fantastic place to go for just about anyone. While I could now embark on a list of all the ways to experience Iceland (summer, winter, on a horse or a bike, photographing or knitting, culture or geology…) it’s the on foot options for those people that don’t necessarily consider themselves to be hikers or super-walkers that I’m interested in here. 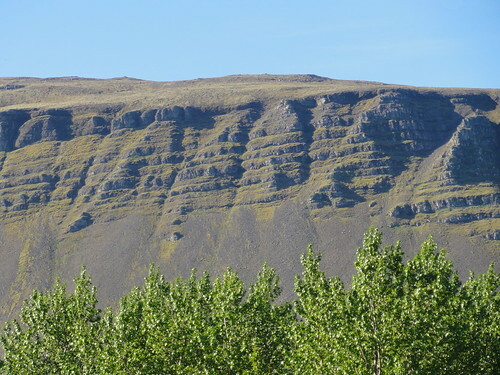 It’s true to say that if you aren’t one of the self drive holiday people but enjoy having a refreshing and leg-stretching walk to get a little way off the beaten track, or to sense the approach to a major landmark, or just want a bit of peace and quiet, you might feel a bit short changed even with a small bus tour in Iceland. It’s the way of the world with coach and bus travel: you drive up to the attraction, pop out take a photo, maybe have a little wander around and then back in the bus! But there is an alternative! My good friend Tony Escritt clearly had these same thoughts some time ago and has set up a really great solution for those people who want to walk and holiday socially, see many of South Iceland’s finest sights and to be able to experience two of Iceland’s greatest treasures – amazingly fresh air and a certain quality of daylight that I associate with latitude and lack of air pollution. 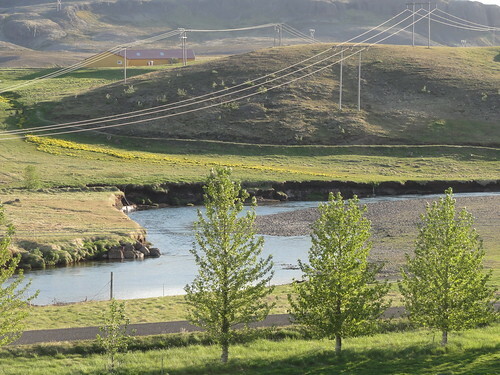 On one of Tony’s health walks, you spend 7 days in Iceland with a comfy small bus, a guide and overnight stays in hotels in South Iceland’s countryside. Each day there are sensibly paced hikes, up to a maximum of 7km, and plenty of chances to learn about geology and folklore, chat and laugh, to take photographs and enjoy the outdoors. The walks have been a great success and of the 3 tours scheduled for Summer 2013, only one has spaces still available. Unfortunately I can’t go in September, and I am going to have to wait till next year so I thought I’d let others know about an opportunity that I am sad to miss this time round. To find out more about health walks in Iceland you can contact me here or Tony at Iceland Pure & Simple by emailing pureiceland1@virginmedia.com. The dates for his September 2013 walk are 31/8 to 6/9. 2 Responses to Avoiding the Coach Tour… Healthy Walks in Iceland! On Thursday I met a lady who was retuning from a holiday in Iceland. She sang your praises highly. I would like to know more about your trips please. Hi Cathy, that’s great to hear! So we can give you the most useful information, please fill in this form and we will get back to you as soon as possible.